Some days, Manhattan’sChinatown could pass for Miami’s Little Havana. I have better luck finding tropical produce there than some of the smaller bodegas or upscale markets where a few tiny specimens are overpriced and undersold. A couple of weeks ago, I took the long way home, working my way through the East Village going along the Bowery to Canal St. where the fruit carts are piled high with pitayas, sapotes, and fresh guavas. 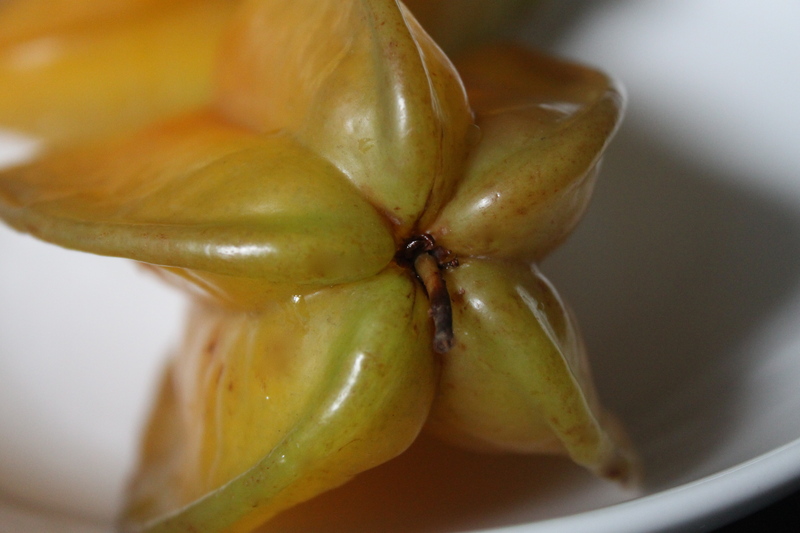 Coming across a stack of carambola, I heard music. In a small, heavy saucepan, combine sugar with 3/4 cups water and boil for 5 minutes. Set aside to cool. 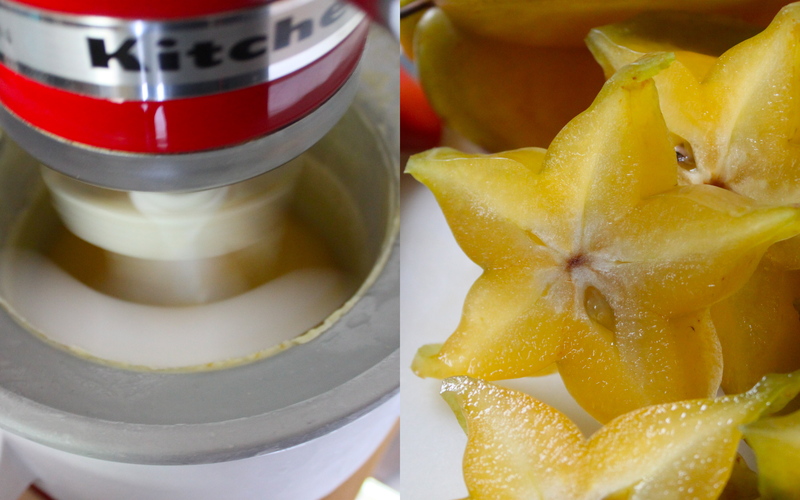 Puree carambola in a blender until smooth. Strain into a large mixing bowl, pressing down on the fruit to extract as much juice as possible. Stir in cool syrup and cachaça and chill until cold, at least two hours or overnight. Process carambola mixture in an ice cream maker according to manufacturer’s instructions. 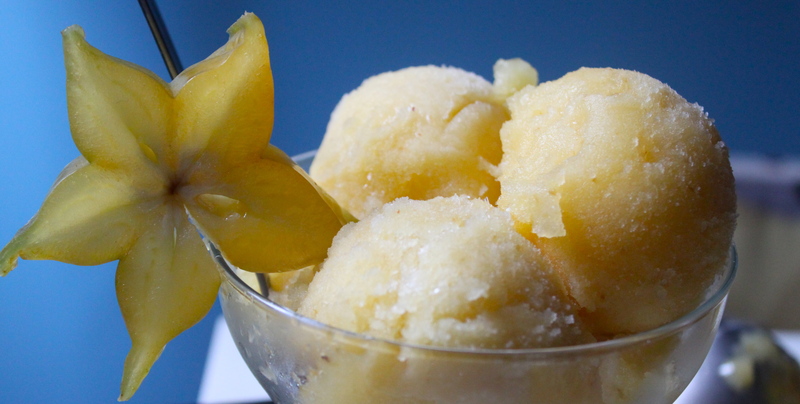 Transfer sorbet to a covered container and freeze until ready to serve. Top with fresh fruit. My mom has a carambola tree in the yard.